I’m a big fan of Rickie Fowler. He’s American, he has a unique style that attracts a younger audience to his sport, his girlfriend isn’t ugly and he just dramatically captured the biggest victory of his career against one of golf’s deepest tournament fields. 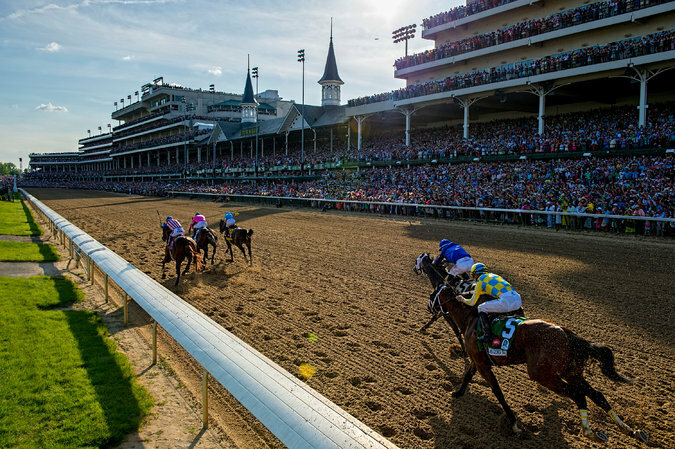 American Pharoah, Firing Line and Dortmund separated themselves from the field down the home stretch at the Kentucky Derby (Credit Andrew Hancock for The New York Times).